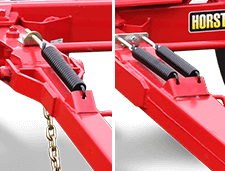 Our heavy duty bolsters let you solidly attach your load from Gravity Bins to Hay Racks. The Rocking Bolster design allows heavy loads some flex and movement reducing stress on the running gear and providing a better ride. Rocking bolsters are standard equipment on all square tube equipped non-suspension running gear. Rocking bolsters not available on 365E. 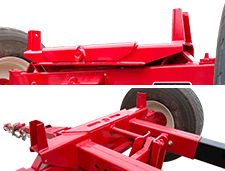 Both spring balancers feature tension adjustable springs. 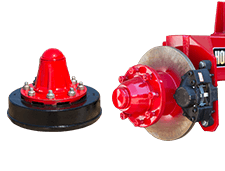 For added safety and stopping power we have brake systems available in drum and disc configurations. 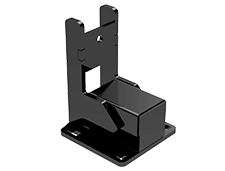 4" bolt on riser kit for extra bunk height clearance.